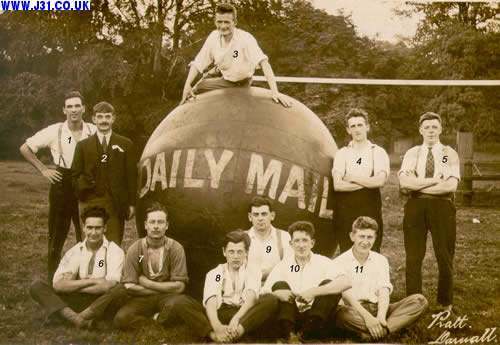 Fence outing 1900, pushball team 1930. 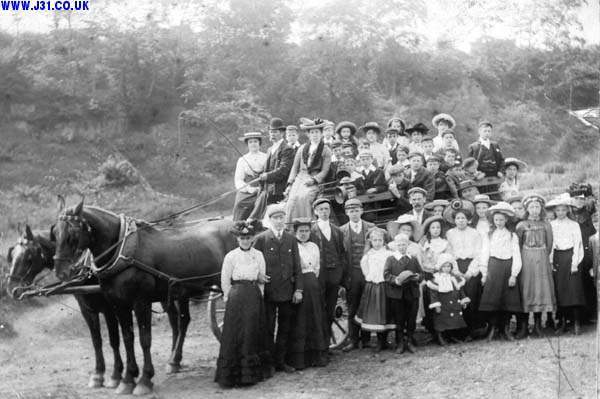 Follow @j31TommyF Fence outing 1900, pushball team 1930.
cart to Roche Abbey (where the photograph was taken). Rodney dates it at circa 1895-1905. The ball below is not a prop football in a publicity stunt. Apparantly, during the depression era or 1930-38 a craze swept the land called Pushball. According to one online enclycolpedia "PUSHBALL, a game played by two sides on a field usually 140 yds. long and 50 yds. wide, with a ball 6 ft. in diameter and 50 lb in weight. The sides usually number eleven each, there being five forwards, two left-wings, two right-wings and two goal-keepers. The goals consist of two upright posts 18 ft. high and 20 ft. apart. (see http://17.1911encyclopedia.org/P/PU/PUSHBALL.htm). The team below is the Fence pushball team and as you may be able to guess, this tournement was sponsored by the Daily Mail newspaper (good value sponsorship really - it's still being read 70 years later!). Funnily enough, the game never really took off. Rodney knew the names of some of the players:: 2 = John Siddall (of Fence Farm), 3 = Harry Shaw, 5= Arthur Davies, 8 = Fred Duckenfield, 9 = Joe Godfrey, 11 = Leonard Shaw. 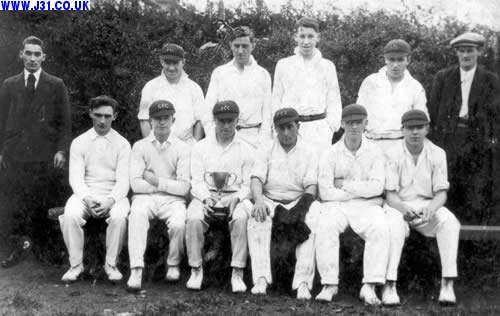 Below is the Fence cricket team circa 1930.